Andy founded Hotel and Club Associates, Inc. in 1991 with the vision of an appraisal firm specializing in two property types, hotels and golf. Andy is a graduate of Boston University with a Bachelor of Arts in Mathematics. Further, he is a graduate of Cornell University’s School of Hotel Administration (Professional Development Program with Concentration in Real Estate Development and Hotel Investment). Andy is also a graduate of The National Institute of Golf Management’s golf management program. Andy holds the MAI designation from The Appraisal Institute and the SGA® designation from the Society of Golf Appraisers. He has been active in many facets of real estate including brokerage, investment, teaching, and appraisal. Appraisal experiences have included virtually all types of commercial and investment real estate. Andy founded Hotel and Club Associates, Inc. in 1991 and since that time has focused exclusively on golf, hospitality, and resort properties. 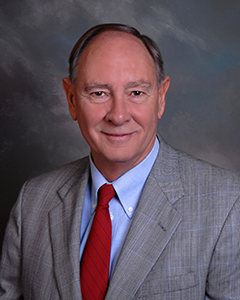 Andy has been qualified as an expert witness in several courts and has provided expert testimony in eminent domain, tax appeals, and bankruptcy proceedings. Further, he has worked with tax assessors and property owners in mediating tax disputes. Andy has been involved in the appraisal of over 450 golf properties throughout his career and hundreds of hotel properties. Andy has held several positions of leadership in the Appraisal Institute and Society of Golf Appraisers. He was a founding member of the SGA and served as President from 2008 to 2009. The Society of Golf Appraisers is a group of MAI-designated appraisers across the U.S. who specialize in the valuation of golf properties. He has also been active on several committees within the SGA, including work compiling the Annual Investor Survey.